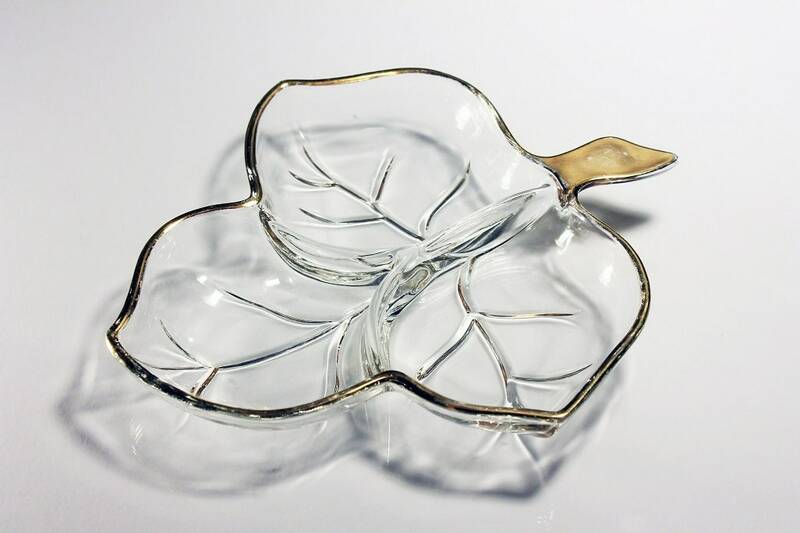 A charming leaf-shaped relish dish by Hazel Atlas. 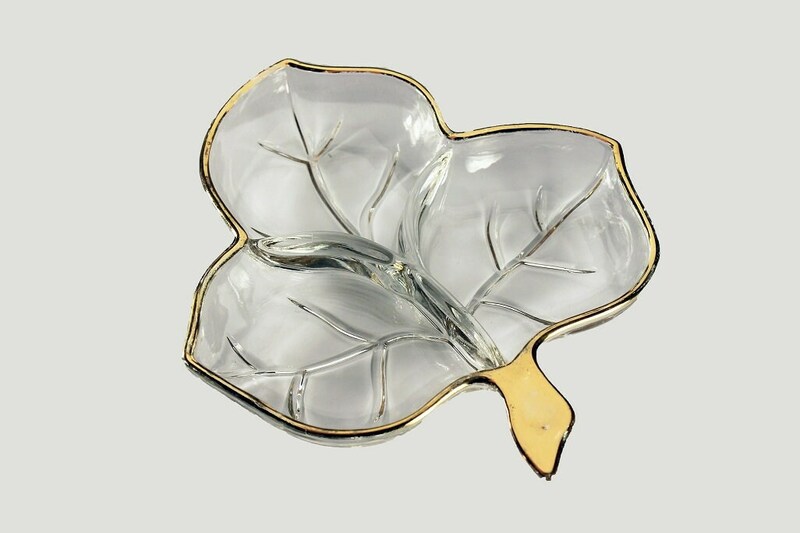 The dish has gold trim around the rim and on the leaf stem and is divided into three sections. 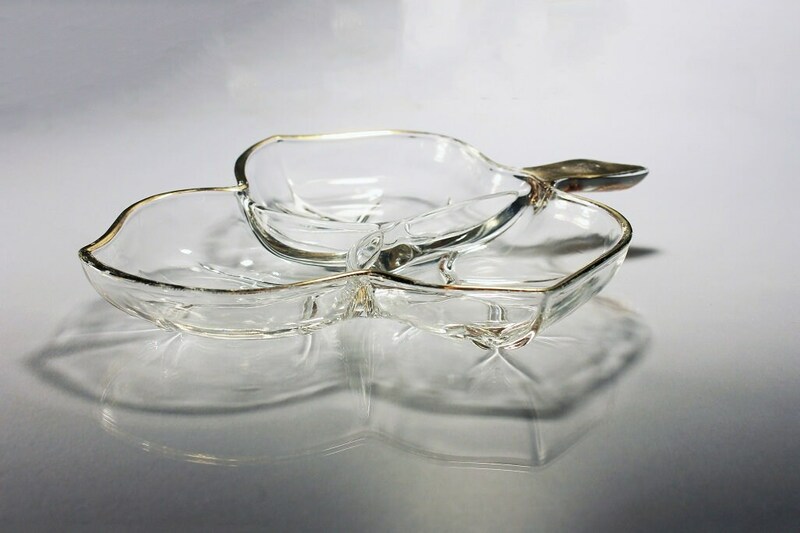 It is very versatile and can be used as a relish dish, trinket bowl, a candy dish, or nut bowl. 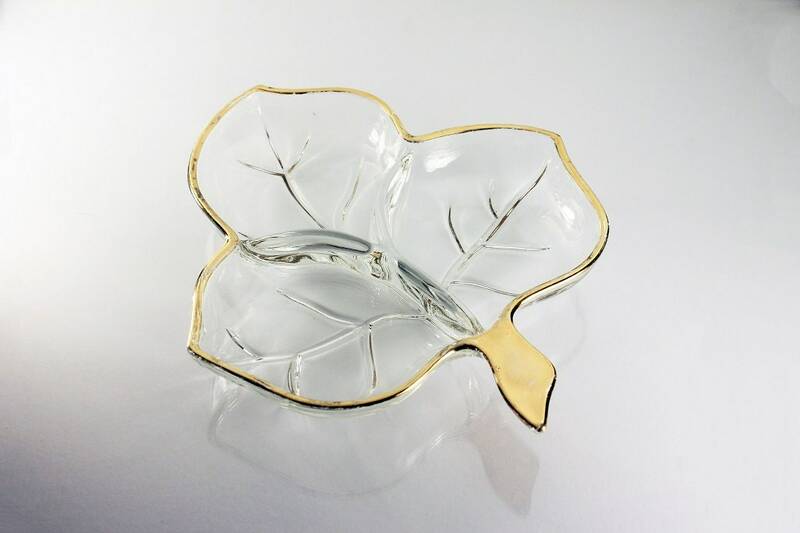 It would be a lovely addition to a vanity, coffee table, sideboard or buffet. 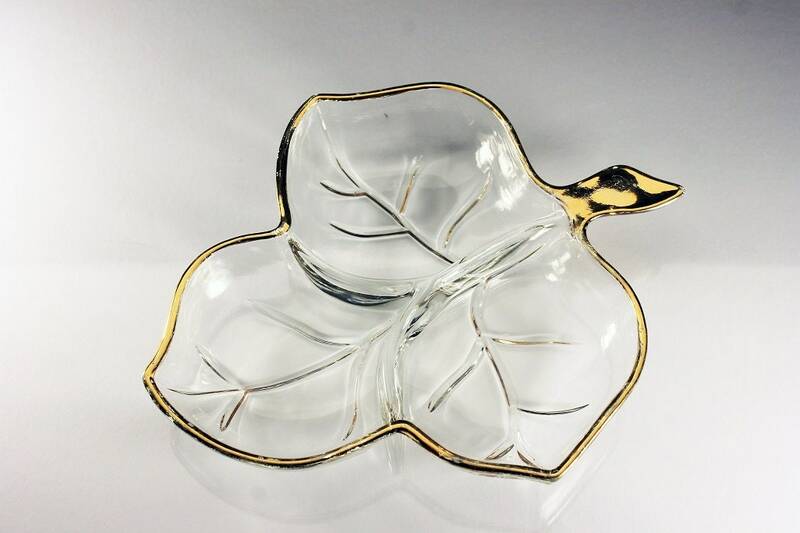 This vintage dish is in very good condition. 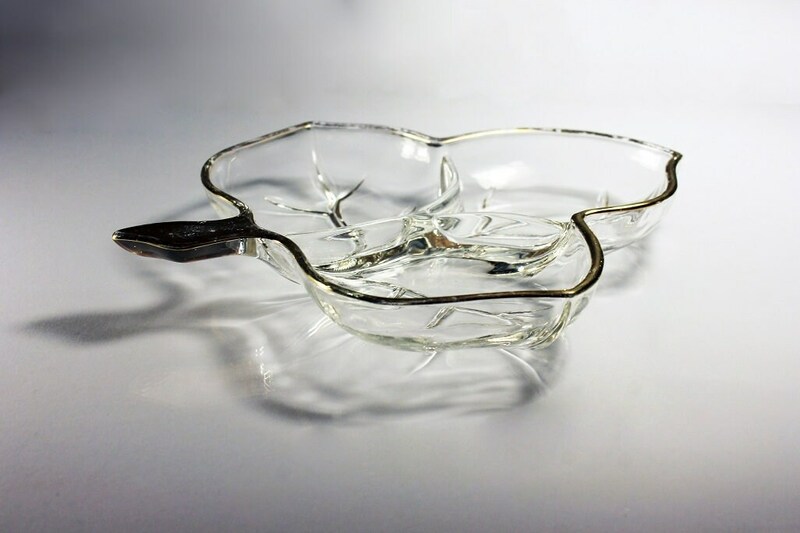 There are no cracks or chips. 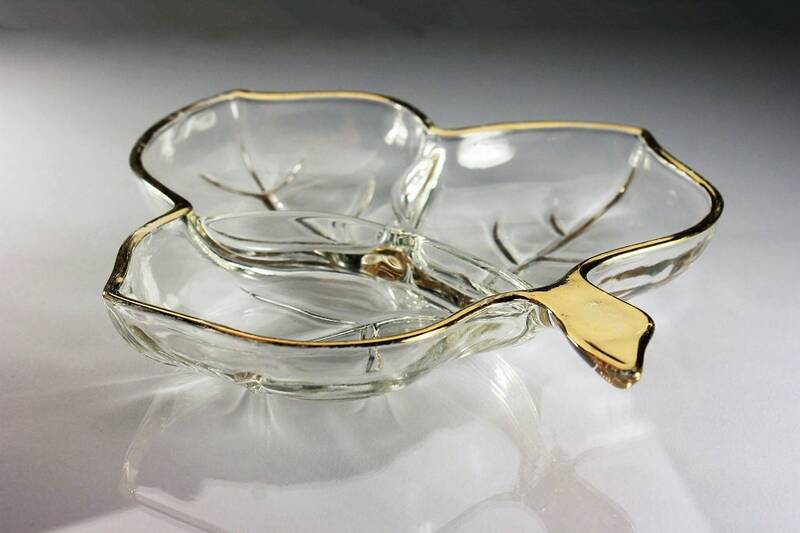 There is moderate wear to the gold edging.